Following on from yesterday’s images of Creation’s shakedown of its hybrid prototype, here’s the detail behind those first laps. Incidentally, we referred to it as the CA006-H, but it is actually the CA06/H-001. Nicolas Minassian and Jamie Campbell-Walter were on hand, plus new 2006 driver signings, Felipe Ortiz and Beppe Gabbiani. At the end of the day, Team Principal Ian Bickerton was in a buoyant mood. 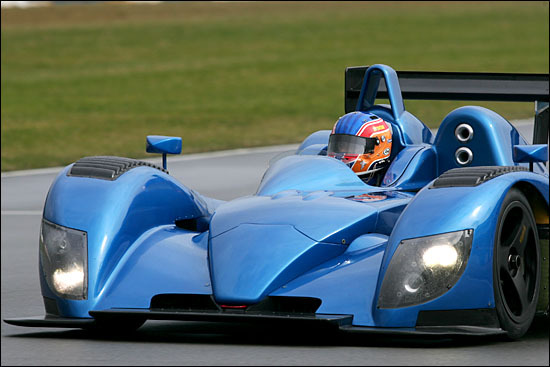 “The test went very well indeed, and the car ran faultlessly all day. Nic did the majority of the driving – about 25-30 laps – but I have to say the weather was less than ideal for a first run. It snowed, it rained, it dried out and then it hailed! Nic said it was difficult to give truly representative feedback on the car with the weather being what it was, but he thinks it’s going to be awesome. The power from the new Judd 5-litre engine is fantastic and it feels very strong with lots of torque. JC-W completed five of the laps and Beppe Gabbiani three: Friday sees the team move to Silverstone for further work. 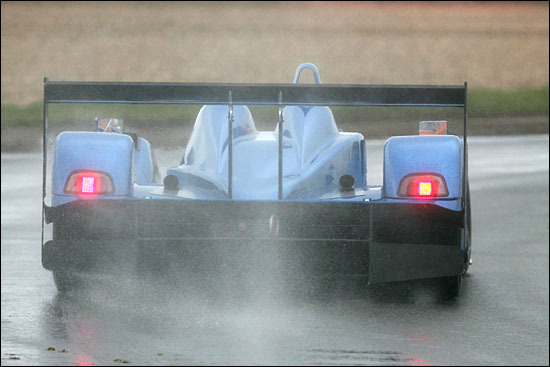 The team’s first ‘public’ test will be the Le Mans Series test days at Paul Ricard.